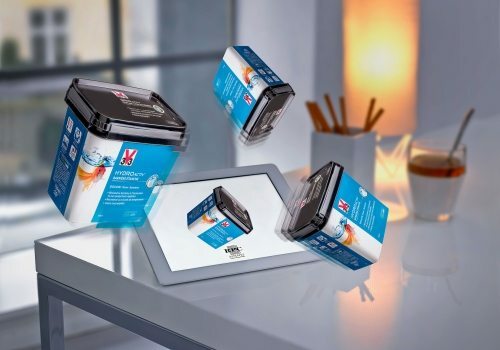 RPC Superfos has launched TurnAvisual for packaging designers to create artwork on three dimensional (3D) digital models of their chosen container that is also available on mobile devices. After selecting the container from an online library and a few clicks, the designer can generate a draft depicting their artwork as it will look on the finished pack. It can be shared immediately with others online – and making the application available on smartphones and tablets. “Within moments you get a revolving visualisation of your packaging in 3D. Your 3D files can be shared on mobile devices using dedicated apps or simply as 3D pdf files,” says product design manager Torben Noer. The system is secure and confidential information can be hidden or access restricted. Users can even create a private library or have several libraries – for instance if a designer works with brands that each have their design teams. RPC Superfos customers can use TurnAvisual for free by creating an online account.